Every time summer rolls around I start craving corn on the cob. Whenever I see it at the farmer’s market or farm stands, I tend to grab arm fulls! And then I get home and realize that there’s only two of us in our house and there’s no way we’re going to eat 5 ears of corn each. Case in point, a few weeks ago, I stopped at a farm stand on my way home from Wisconsin and grabbed six ears of corn (I thought I was being good by restraining myself at six!) 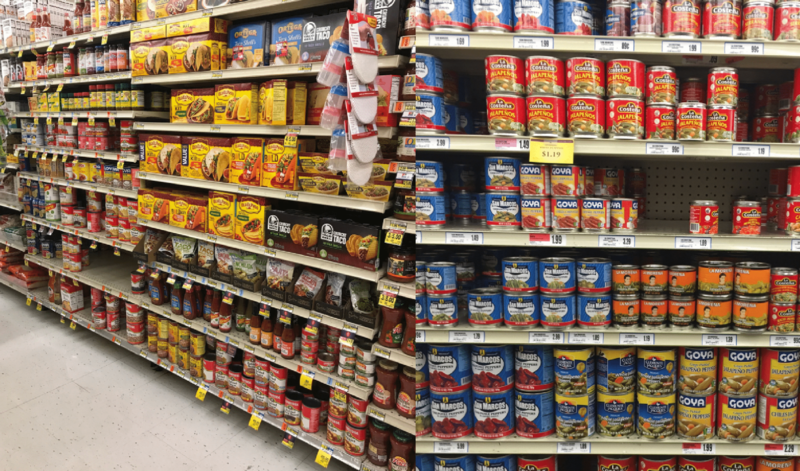 only to get home and realize Michael had gone grocery shopping and bought four himself. Oops! What’s a girl to do? 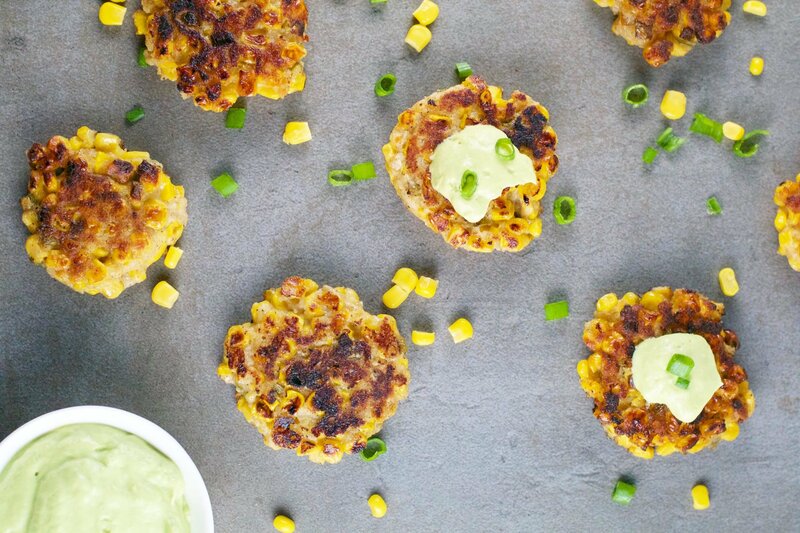 Make these gluten-free and vegan corn jalapeno fritters, of course! Using LA MORENA® Whole Jalapeños (my fave!) 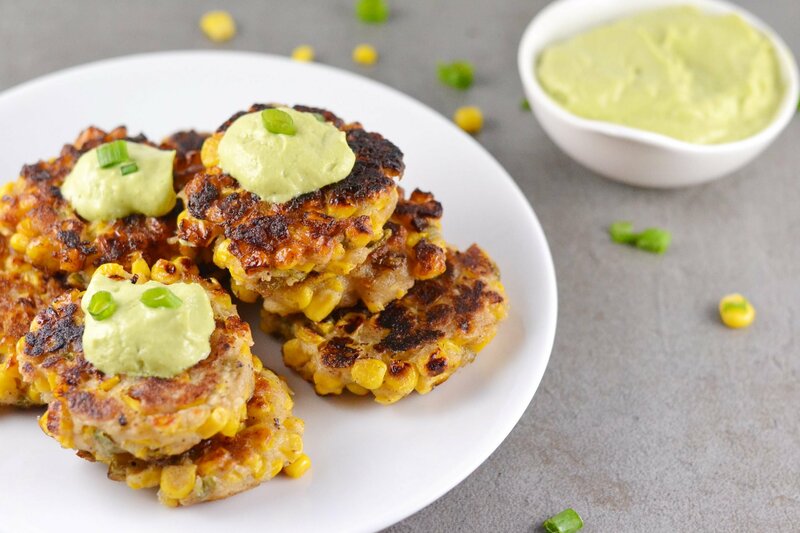 I made these delicious, crazy flavorful corn jalapeno fritters! Using leftover grilled or steamed corn (canned or frozen also work well here too), pickled jalapeños, green onions and a few other ingredients, you can have the PERFECT summer appetizer or side for your meal. I like using LA MORENA® products because I can recognize all of the ingredients they use and you just get SOOO much flavor out of the jalapenos from the pickling liquid. 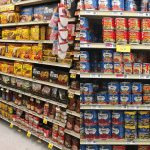 I purchased my LA MORENA® Whole Jalapeños at Jewel-Osco, which is where you can find them too! Sidenote: LA MORENA® is currently having a giveaway right now that will help you discover new places, so be sure to check that out! These gluten-free and vegan corn jalapeno fritters pack so much flavor in just a few ingredients. They’re also ready in just about 15 minutes so you can quickly prepare them and serve them for some summer eats! The outside of the fritter is super crispy and then inside it perfectly fluffy. I love the subtle heat you get from the pickled jalapeños in the fritter. And let’s not forget the vegan avocado crema which contains LA MORENA® Whole Jalapeños, too! The avocado crema is thick and creamy from the luscious avocados, tangy from the fresh lime juice, and has a hint of heat from the LA MORENA® Whole Jalapeños. 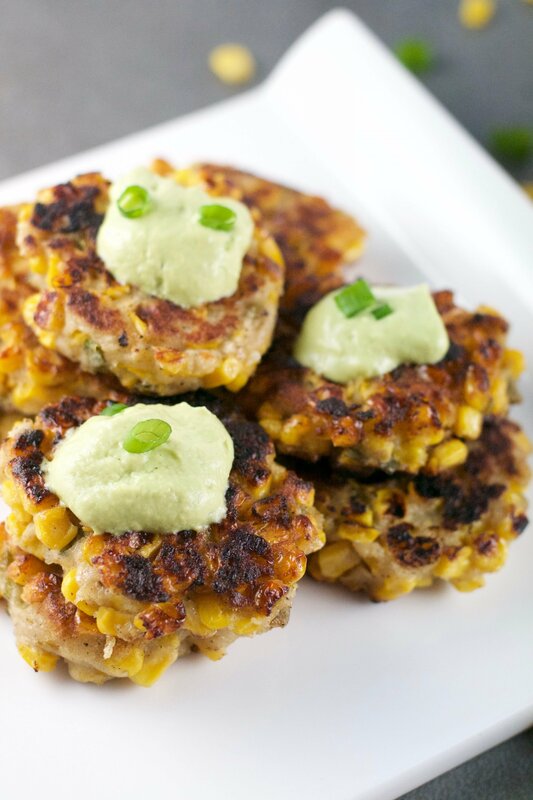 It pairs so well with these crispy corn jalapeño fritters to make the ultimate summer snack! Coming soon! Check out where LA MORENA® is taking me this summer on Instagram! Where is this summer going to take you? Tell me in the comments! These gluten-free and vegan corn jalapeno fritters pack so much flavor in just a few ingredients. They're also ready in just about 15 minutes so you can quickly prepare them and serve them for some summer eats! 1 tbsp oil avocado oil, canola oil, olive oil, etc. In a large bowl whisk together cornmeal, flour, baking powder, salt, pepper, cumin and green onion. Add the garlic, almond milk, and lime juice and stir until a paste forms. Add the corn and LA MORENA® Whole Jalapeños and stir until combined. Preheat a skillet over medium heat and add oil to the pan. Using a spoon or ice cream scoop (my preference), scoop about 2 tablespoons of mixture into the pan. Gently press down with your hands or a spatula to flatten. Cook for 3-4 minutes on each side, until they are a light golden brown. To make the avocado crema, combine avocado, lime juice, LA MORENA® Whole Jalapeños, salt and almond milk in a food processor or blender. Process until smooth. Add additional almond milk to thin out the crema if you wish. Spoon avocado crema over the fritters and top with additional green onion. Serve immediately.